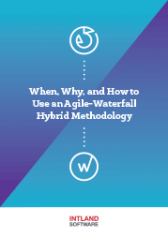 In our series of blog posts exploring the use of the Agile-Waterfall Hybrid approach, this article focuses on the benefits that combining these methodologies could yield. To learn more about the basics of using a Hybrid solution, see our earlier post. Agile, the modern methodology focusing on developing software incrementally in short iterations has been gaining traction in the software industry in recent years. In fact, it's safe to say that Agile development (with its work backlogs, self-organizing teams and incremental delivery) has been hailed by many as the perfect solution to all kinds of SDLC-related problems. However, others have faced various issues when implementing Agile, causing them to think again. While it is generally agreed that Agile can reduce time to market and improve product quality (due to frequent testing), it lacks the rigour in terms of planning, budgeting and scheduling that Waterfall is known for. This may pose problems to large organisations working on big projects with longer roadmaps. (There have been several frameworks devised for the enterprise-scale transition to Agile). Thus, more and more companies are realizing that the "religious" adoption of one pure methodology may not be the best way for everyone, and mixing and matching methods suits their needs better. While they are trying to realize the benefits of the Agile approach, they'd rather keep some of the advantages offered by Waterfall. More and more teams are turning away from "one size fits all" solutions in favor of Agile-Waterfall Hybrid methods combining the best of both worlds. Blending methodologies is becoming standard practice in the software industry, and this has prompted response from teams and organizations seeking to take advantage of both methodologies. Various Hybrid solutions exist, as individual companies are trying to figure out the best combination of practices and methodologies for their unique needs. It's also important to note that the exact characteristics of the hybrid methodology applied varies from project to project. A more traditional approach suits some projects best, while others may benefit from a methodology that leans more towards Agile. How to make a hybrid approach work? It's generally considered a successful model to employ Waterfall for the overall project planning and hardware development, while software development processes benefit from the flexibility of an Agile approach. Related reading: Are You Practicing Agile, Wagile, or an Agile-Waterfall Hybrid Approach? Even with software-only projects, injecting Agile practices into a Waterfall process could yield major advantages. First and foremost, one of Waterfall's most loved characteristics, the initial planning phase itself can be done in an Agile way, using tasks and sprints. Next, development phases that can be handled simultaneously shouldn't have to wait for each other: while keeping Waterfall's "step-by-step" approach on a higher level, it is a good idea to incorporate the Agile principle of starting parts of projects as soon as possible. It's also advantageous to gather customer feedback every way possible early on in the development process. Clickable wireframes can be used to showcase products even before development begins, to make sure a user-friendly application is created that matches the client's needs. After the prioritization of tasks, project planning and scheduling should be done in sprints – user stories, story points and burn-down charts help keep the project on track. 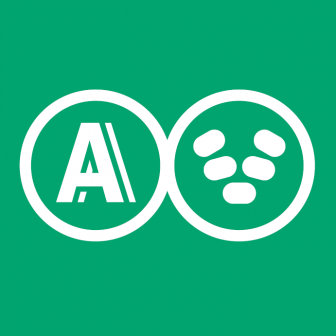 Once development begins, it's time to rev the engines to those QA & testing processes. The Agile practice of incorporating testing in the development ensures that a quality product will be shipped to the client. In addition to Kanban boards that help manage development processes, another Agile practice that even Waterfall projects can benefit from is the retrospective meeting. See our earlier post titled Tips and Tricks to Make the Most of Your Retrospectives to find out why exactly these meetings are so advantageous for any team. As detailed above, incorporating Agile practices into a Waterfall process yields various benefits for development teams. Injecting some Agility into Waterfall planning could make sure otherwise rigid traditional processes are easier to adapt to today's changing environment. Relying more on the Agile approach in the development phase could help realize most of the benefits of this methodology, while making sure the processes adhere to the plans created in the initial phase based on Waterfall planning. Such a complex, blended approach requires the use of flexible tools. codeBeamer ALM is an out-of-the-box solution for both Waterfall and Agile, not only suitable for teams in transition, but also for businesses of all sizes (from small teams to large global enterprises) trying to find the perfect combination of Waterfall and Agile for their projects. To learn more, drop us a line or take codeBeamer for a test drive right away!